The Small and Medium Enterprises Development Agency of Nigeria (SMEDAN) has urged Micro, Small and Medium Enterprises (MSMEs) to promote Made-in-Nigeria products and services to aid economic growth. 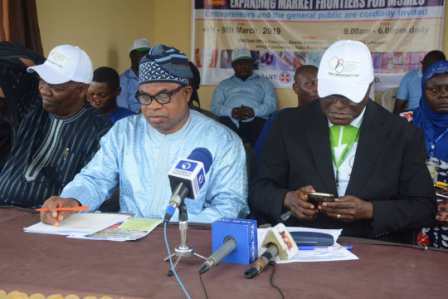 This appeal was made by the Director General, Small and Medium Enterprises Development Agency of Nigeria SMEDAN, Dr. Dikko Umaru Radda at the opening ceremony of the 2019 Osun MSMEs Opportunity Fair in Oshogbo. The fair has as its theme Expanding Market Frontiers for MSMEs. The Director General who was represented by Mr. Monday Ewans, Director of Entrepreneurship Development and Promotions, said one of the intervention programmes of the agency targeted towards promoting made in Nigeria goods and enhancing the competiveness of the MSMEs was the annual MSMEs Opportunities fair. He added that the fair was being organized to help nurture local entrepreneurial capabilities, technical skills, technological innovativeness and managerial competencies. Dr. Radda also stressed that the success of the 2018 opportunity fair resulted to commendations and visits to the agency from host communities on how the fairs had greatly impacted on their various businesses in the areas of identification of new markets, expansion of existing markets, increased profitability and enhanced patronage, adding these feedbacks has greatly encouraged the agency to introduce more innovations and follow up activities. He noted that MSMEs were the key to the growth and development of any economy, adding that Osun state was privileged to be hosting the second edition of the fair in the southwest. According to Dr. Radda, the fair will help to attract new customers for businesses, building company brand awareness, networking and interaction with peers, development of strategic partnerships and also strengthen capacity and capability improvement. He commended the Osun state government for its support to the agency and the mutually beneficial work relationship that existed between them. Governor of Osun state, Mr. Gboyega Oyetola has expressed the readiness of his administration to continue to support the growth of medium and small scale businesses in a bid to boost the economy of the state. Governor Oyetola stated this in his keynote address while declaring open the 2019 Osun MSME opportunity fair in Oshogbo. The governor who was represented at the event by the Supervisor for Finance, Mr. Bola Oyebamiji described Osun economy as one dominated by the informal sector, noting that he is delighted that his state was hosting the fair, which is aimed at touching the lives of the greater percentage of Osun people. He commended SMEDAN as an agency that has performed tremendously well since it was created through the various programmes that has touched millions of lives across Nigeria stressing that it is a testament of their performance on the stimulation and development of MSMEs across the country. Speaking further governor Oyetola explained that his administration in the next few weeks will roll out series of empowerment programmes for women and other small scale enterprises in the state. 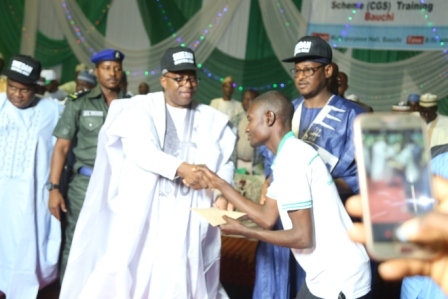 According to the governor, “I appreciate the efforts of SMEDAN in organizing this programme which is aimed at boosting the economy; there is no government that can efficiently add value to the society without considering the micro, small and medium scale enterprises. “It is an important scheme and an important sector that any serious government must focus its attention on. 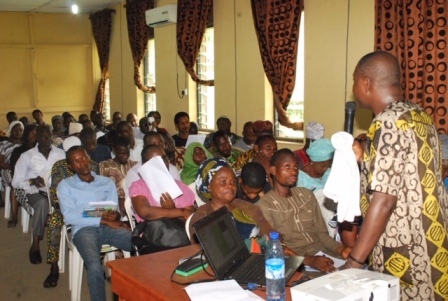 In the state of Osun, we have been supporting SMEDAN; we have been empowering our people by building their capacities. “The current administration is fortunate in that it succeeded a regime which did so well for the development of MSMEs in the last eight years. The immediate past administration ensured that through Osun Micro Credit Agency, interest free credit facilities were extended to more than 133 SMEs, 800 cooperative societies, 9,955 individuals across the 30 local government councils and the Area Office in Modakeke. During the same period, in collaboration with the Department for International Development (DFID, UK), the State empowered not less than 5,000 MSMEs under the Growth and Empowerment in States (GEMS) Scheme. Similarly, through Osun Broilers Out-growers Production Scheme (OBOPS), more than 300 millionaires have emerged. “These and many more demonstrated government’s efforts at supporting MSMEs in osun. For us, we are not leaving any stone unturned regarding MSMEs development and in a matter of weeks from now, we shall unveil various programmes that will see us complementing past gains”. “This present administration too has a focus to continue in that stride. We are going to be empowering our SMEs with huge amount of money. We expect it be productive and add value to our economy and at the same time help in stabilizing our food security “. The governor stated. Also speaking, the zonal coordinator south west zone of SMEDAN, Mr. Gbenga Ogundeji urged participants at the open fair to explore the opportunity of using the medium to interface with government regulatory agencies that are present at the event. Goodwill messages were delivered by government regulatory agencies such: NAFDAC, CAC. BOI, RMRDC, Osun Ministry of Commerce and Industry, Ministry of Women Affairs, Standard Organization of Nigeria among others. The representative of the governor was then taken round the various stands to inspect some of the locally made materials which were on display. The SMEDAN Director-General urged MSMEs stakeholders in osun state to always visit its offices for expert advice, business counseling, mentoring and advisory services.